A recent New York Supreme Court decision relates to the intersection of two major practice areas of our firm, foreclosure and Religious Corporation law. 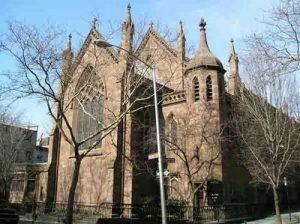 The case involved a mortgage loan taken out by Grace Christian Church, located in Brooklyn, New York. According to the Court, the Church mortgaged its property to the plaintiff, John T. Walsh Enterprises, LLC, in exchange for a loan of $350,000.00. When it failed to make payments under the terms of the note, the plaintiff brought a foreclosure action against the Church property. This case is an excellent example of the interaction between these two areas of law. The reason for this is that, under New York’s Religious Corporation Law, a religious corporation cannot sell, mortgage, or lease its property for a term exceeding five years without the consent of the New York Attorney General. Prior blog posts have discussed the legal procedures necessary for a religious institution to obtain such consent. Recent changes in the law have made it possible to obtain such permission directly from the office of the Attorney General, without the necessity of a Court proceeding. However, if the Attorney General’s Office does not give initial consent, the religious institution then has the option of bringing an action in Supreme Court to obtain such consent. Such action must be served upon the Attorney General’s Office, and, if the Court subsequently approves the transaction, whether it be a sale, lease, or mortgage, then the religious institution may proceed with its real estate transaction. In the Grace Christian Church case, although the Church’s Board of Directors approved the loan transaction, they did not seek approval of the New York Attorney General, as the law requires. In addition, the loan terms were significantly altered at the loan closing, without the consent of the Church’s Board of Directors. A title search performed by an experienced title company would have shown that the property was owned by a religious corporation, and would have required such consent by both the Board of Directors as well as the Attorney General as a condition of closing the loan. The question the Court needed to answer was whether the transaction should be ratified so that the lender could foreclose, despite the failure of the Board of Directors and the Attorney General to consent to its specific terms. In such a situation, the Court’s standard to be applied is whether approval of the mortgage would benefit the Church or the best interests of its members at the time the issue is presented to the Court. The Court ruled that given the principal amount of the mortgage, the Church’s current assets, the high rate of interest (16%), as well as a default interest rate of 24%, the transaction would not be in the Church’s best interests, as it would likely result in the loss of its house of worship in the foreclosure proceeding. As a result of this fact-finding, the Court refused to grant “after the fact” approval to the mortgage transaction, and ruled the entire mortgage to be invalid. The main purpose of the Religious Corporation Law requiring Attorney General or Court approval of real estate transactions is to protect a Church, Mosque, or Synagogue’s congregation from having its place of worship “sold out” from under them, or lost to a lender in a foreclosure proceeding. Prior blog posts have discussed situations where “rogue” board members have attempted to sell houses of worship, which may have greatly increased in value over a long period of time, without approval of the congregational membership, or by misinforming the Court regarding such approval. Our firm represents religious institutions, as well as congregants who may wish to challenge such transactions as not being in the institution’s best interests. We look forward to your inquiries regarding religious institutions and their participation in real estate transactions.